I've never been a particular fan of reds and greens in interior design. But for some reason I find myself drawn to this eclectic living room. 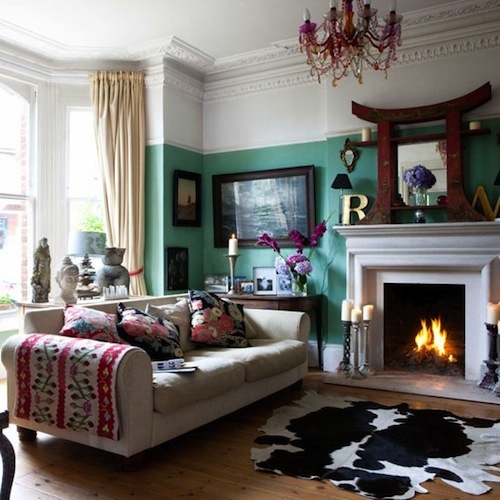 Bold emerald green accents the period moulding in this victorian parlor filled with wonderful vintage pieces and ethnic fabrics. The biggest surprise for me was how well the emerald works with the red accents throughout the space; no feelings of Christmastime here. While I'm not looking to go the green and red route in my own space I'm certainly wont rule it out for furture design projects.